White patches, red patches, ulcers or lumps in the mouth, if persist for more than 3 weeks, need to be checked by your doctor as they can be a sinister condition. 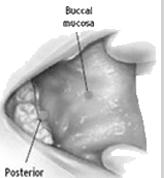 Oral pre-cancer is usually painless in the initial stages. Dr Girish will carry out a biopsy (a small piece of tissue from the lesion is sent to the pathologist) and if it turns out to be malignant, surgery or radiotherapy will have to be followed. What are oral pre-cancer conditions? What are the common pre-cancerous conditions? White patches, red patches, ulcers or lumps in the mouth, persisting more than 3 weeks, need to be checked by your doctor as they can be a sinister (pre-malignant) condition. Mouth pre-cancer is usually painless in the initial stages. Your Maxillofacial surgeon will carry out a biopsy (a small piece of tissue from the lesion is sent to the pathologist) - if it turns out to be malignant, surgery or radiotherapy will have to be followed. What should I do if have a pre-malignant lesion?